The chief executives of some of the U.S.’s biggest banks should get ready for hostility as they’re about to serve as political-theater targets at a House committee hearing on Wednesday, analysts say. Big bank shares weren’t moving much on Monday, with JPMorgan and Wells Fargo up less than 0.1 per cent. BofA gained about 0.3 per cent, while Goldman and Morgan Stanley were down about 0.3 per cent. “We expect Democrats to go on attack, questioning big bank profits, executive compensation, regulatory relief and tax benefits,” Seiberg wrote in a note. 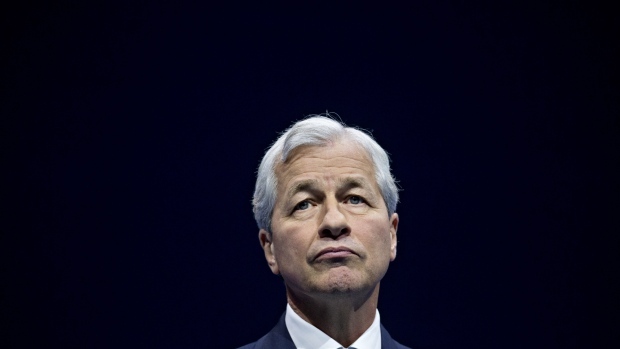 Issues on tap will include why the biggest banks need any regulatory relief, as they’ve earned US$780 billion over the last 10 years, with JPMorgan possibly in focus as the hearing memorandum shows the bank earned US$215 billion over 10 years, he said. The largest U.S. banks, including Bank of America, JPMorgan, Citigroup, Morgan Stanley and Goldman Sachs, likely won’t see increasing momentum in Congress on new restrictions or legislation after CEOs testify to the House Financial Services Committee on April 10. State Street and Bank of New York will also attend. Democrats will try to score political points, and we expect questions related to retail and consumer banking, past behavior and executive pay. Unless an answer is deemed inadequate, little should result from the hearing.-- Nathan Dean, Senior Government AnalystClick here to read the research.